Green, black, crimson, natural, stoned, crushed, tinned, preserved, fresh from the market or the tree, olives are a delicacy, especially in Southern Europe. The olive is a very popular fruit in the Mediterranean and elsewhere, and makes a welcome guest on dinner tables and in recipes. Because it needs sun and heat and doesn’t really like water, the olive tree is naturally found in Southern Europe from the south of France to Greece. It is cultivated for its oil very early. Olive oil is used in food, skincare products and for religious ceremonies. The fruit is cultivated especially for food, with table olives used as a condiment. Most of the fruit that is damaged and/or of average size is harvested for its oil. The remaining olives that are nice and plump/fleshy will undergo a few changes during refinement before they are eaten, as olives in their natural state are too bitter to enjoy. Table olives undergo several procedures: first their natural bitterness is removed (by soaking them in an alkaline liquid or by rinsing them regularly for several days), then they are placed in brine for quite a long time, and finally conditioned (they can preserved in brine, chilled or pasteurised). the same either, it takes time to remove the bitterness of green olives that are then conditioned in different forms (pasteurised, added with aromas and spices etc. ), the black olive is soaked in brine for several months and eaten as it is as any attempt to add any extra flavours is foiled by its natural strong taste. Tapenade is very popular in the Med. It's a simple puree of olives with anchovy and caper berries. You find green or black tapenade depending on the colour of olives used. Fancy making your own tapenade? Here's a recipe for tuna tapenade. You can't visit Greece without enjoying a Greek salad. If you're after something a bit more substantial, try barley bread tartlets with tomato, feta and olives, or olive and tomato terrine. 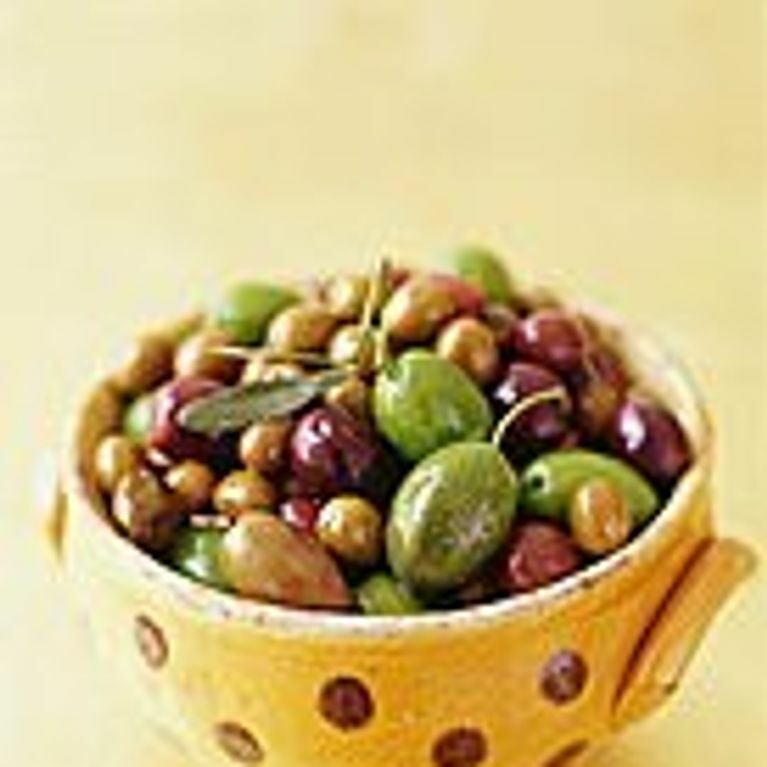 Main course recipes using olives include chicken tajine with lemon and olives or fish with olives. For all our olive recipes, click here.